On Friday, the 15th of December, the most coveted KHL trophy of all set out on a epic journey in the footsteps of the legend in whose honor it took its name. The Gagarin Cup arrived at the Baikonur Cosmodrome, from where it will soon go into orbit. This journey began long before, back on the 30th of November, when KHL President Dmitry Chernyshenko gave the crew of the Soyuz MS-07 spacecraft the finely crafted miniature replica of the Gagarin Cup and a puck specially crafted for the occasion. Both artifacts will head off into space, and after their return will play a part in further events celebrating the League's tenth anniversary season. 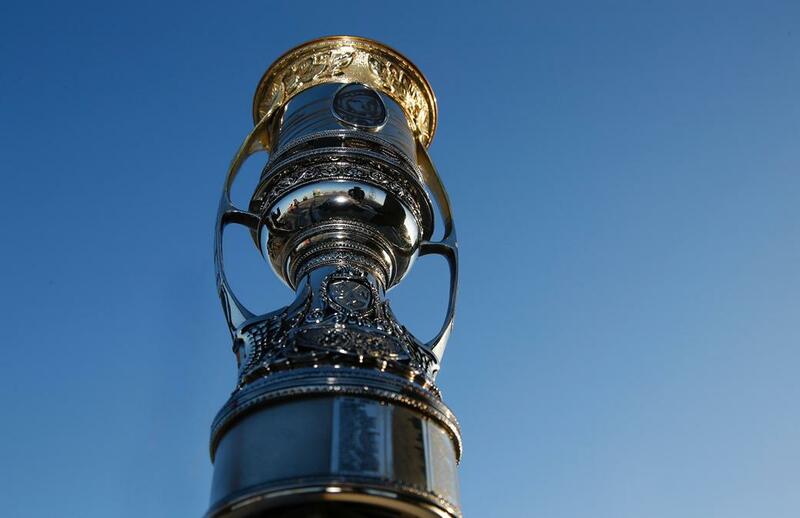 The reason the cosmonauts will bring the miniature replica, and not the actual trophy raised aloft by the Champions, is that the real Gagarin Cup is too heavy for the re-entry capsule, for which every ounce is crucial. So it was no surprise that in the chill of the morning, by a vast hangar looming over this plot of land surrounded by the seemingly endless frozen Steppes of Kazakhstan, a crowd of hardy souls had risen before dawn to see the rockets and the cargo make their way to the site of the launch. Many of those gathered were visitors from Japan, here to give a send-off to their compatriot, Norishige Kanai, who will be making his first ever flight into orbit, and they watched as the rockets emerged and and slowly made their way along a mini-railway, across the asphalt to the site from which they will be fired. Nearby stands a commemorative obelisk with the inscription: "From this point began mankind's bold journey into space." It is sobering to think that the latest adventurers to journey out toward the stars will bring with them the KHL puck and miniature trophy which bears the name of the first man to make that giant leap. While it is the smaller version which has a ticket to the Cosmos, “Big Brother” has also made the journey. The real Gagarin Cup arrived via Air Astana, lovingly wrapped and harnessed to a seat in Business Class, soon to be placed on display to the delight of the local fans. The first port of call was the House of Culture, where the Gagarin Cup immediately attracted a long line of fans eager to be photographed with the trophy, and from here, the Cup made its way to Mayak, a sporting complex in Baikonur. In the main gym a vast crowd, ranging from six-year-olds to near-centenarians, cheerfully mingled with the trophy, tasting the novelty of seeing and even touching something they had only previously seen on TV in the hands of the champions. 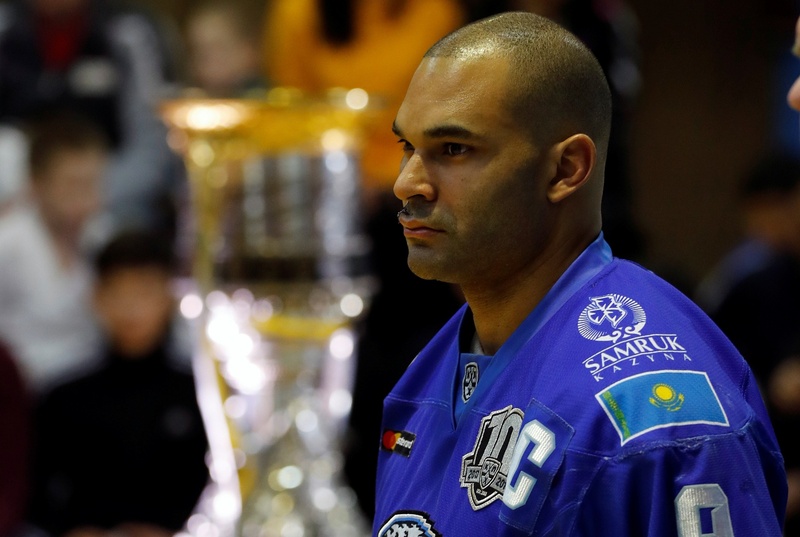 The jollity turned to excitement with the arrival of Barys legend Nigel Dawes. So eager were the fans to greet the great forward that the event's MC announced, "Guys, let's make sure Nigel doesn't get injured, as he has to play in the All-Star Game." The good-natured admonition had the desired effect, and the fans parted to form a path for the popular player. There followed an entertaining quiz, in which Nigel handed prizes to young sportsmen for correct answers on hockey's rules and history; there was a movie with highlights of the previous All-Star Game in Ufa; and then aother high point – Dawes gave a marathon photo and autograph session for the assembled fans. Such events are usually over quite swiftly, but such was the interest that we estimated that Dawes could have played two periods of hockey in the time he spent mingling with the public. - Yes, but I'm not tired, as it's been a very interesting day today. I really enjoy events like this. You ever know what kinds of surprises are in store, and that's great. Tomorrow I'm hosting an open-air master-class here, and I'm looking forward to that. As for today, I was pleased with how well the guys knew the rules and the League's history, and I was surprised by how quickly they answered. You have bee playig in Kazakhstan for a long time, and you must have heard about the Baikonur Cosmodrome. Had you always wanted to come here? - Yes, of course, and I'm very glad I did. I am very happy to take part in the KHL space program. I learned a lot about the city, and what's going on here. You now have a break in the season. 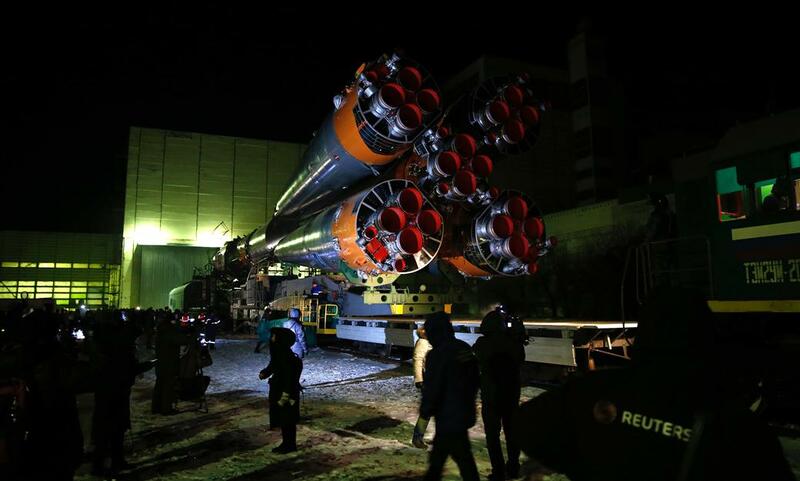 Did you think for long about accepting the invitation to Baikonur? - I was asked by the team and the League. And when the League asks, I go. Although, when I get back, I'll have to train a bit more. 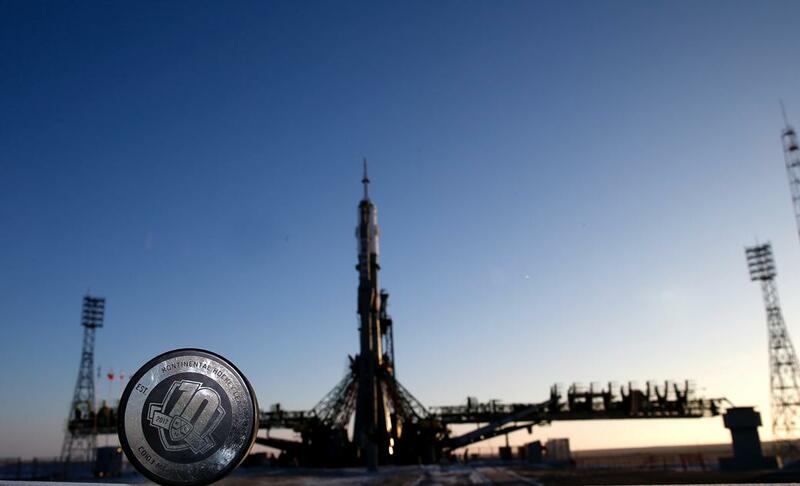 What do you think of sending a puck and a mini Gagarin Cup into space? - Oh, it's really cool thing. The puck and the Cup go into orbit, return to Earth, and the puck is dropped in the final series. It's great for the fans. Yes, of course I would like to be in that face-off, but there is still far too much to do.